Environmental, Health and Safety News: Nuclear Energy and Uranium Bet Updates "current uranium supply situation is unsustainable". 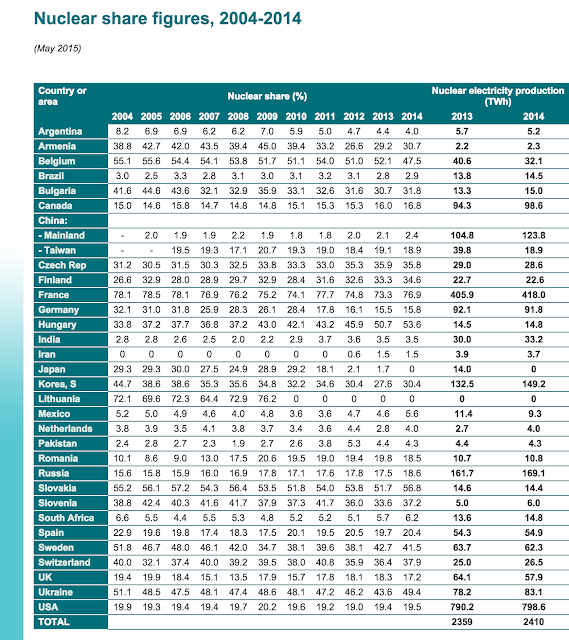 Nuclear Energy and Uranium Bet Updates "current uranium supply situation is unsustainable". Michael Dittmar wrote a series of posts about nuclear energy that was published on The Oil Drum in 2009. 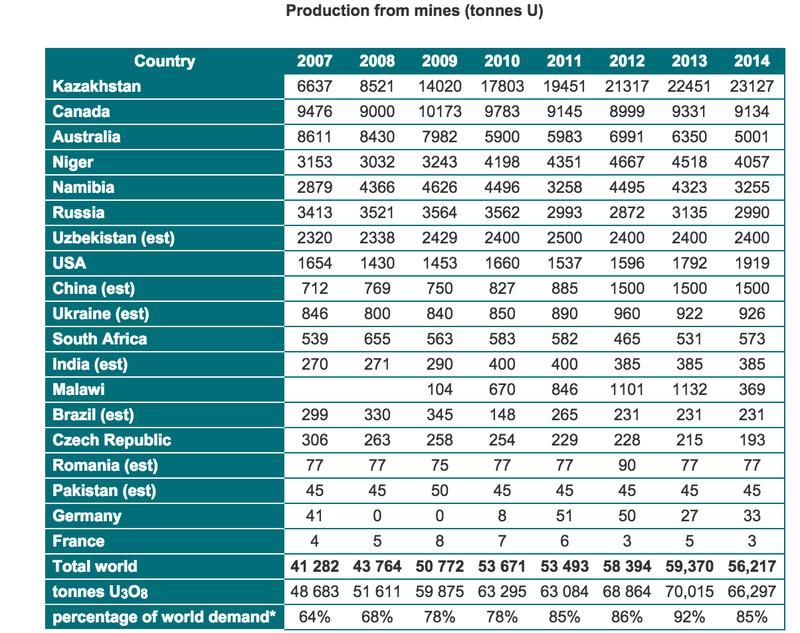 In the first post of the series, he said that uranium "civilian uranium stocks are expected to be exhausted during the next few years" and "the current uranium supply situation is unsustainable". 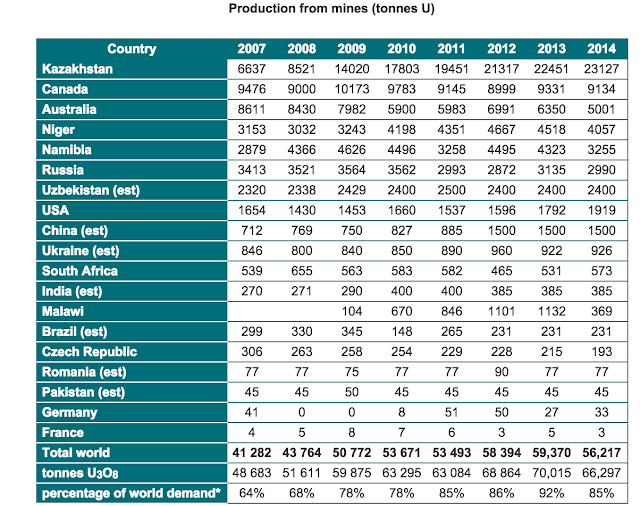 Basically lack of uranium production from uranium mines would cause lack of nuclear fuel which would result in steadily dropping nuclear power generation. I made a series of three bets with Dittmar. So out of 13 bets, I have won 7 bets and lost 6. For 2015, Canada Cameco has started production at Cigar Lake. The igar Lake operation is expected to produce 6 million to 8 million pounds of uranium oxide (2308 to 3077 tU) in 2015, ramping up to full annual production rate of 18 million pounds per year (6920 tU) by 2018. Japan should begin nuclear restarts in August for 2 reactors.